My crime was to upgrade to Seamonkey 2.49.4. 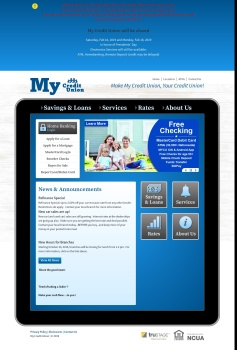 Now I can't connect to my usual news, banking, and other webpages. The "Secure Connecion Failed" page is especially bad because seamonkey will refuse to let me get the webpage at all (I'm forced to use Google Chrome...bleh....). I've tried to turn off all of the options I can find, but these messages still persist. What remedies do you suggest I can do to get around these problems? Otherwise, Seamonkey is unusable for me. FYI - "Please contact the website owners to inform them of this problem." is insulting. I promise you that the only answer I ever get from website owners about problems is to use a supported browser like Microsoft's Internet Explorer or Edge. This answer doesn't do anything to let me use seamonkey/firefox on their site, and it just reinforces that there is nothing I can do since the website owners aren't about to change their operations so I can use seamonkey. These sites worked just fine on the previous version of seamonkey....in fact, I don't understand why this latest seamonkey reset some of my settings instead of importing them from the previous version of seamonkey. Aren't all of the seamonkey versions upwards compatible. If not, why not? 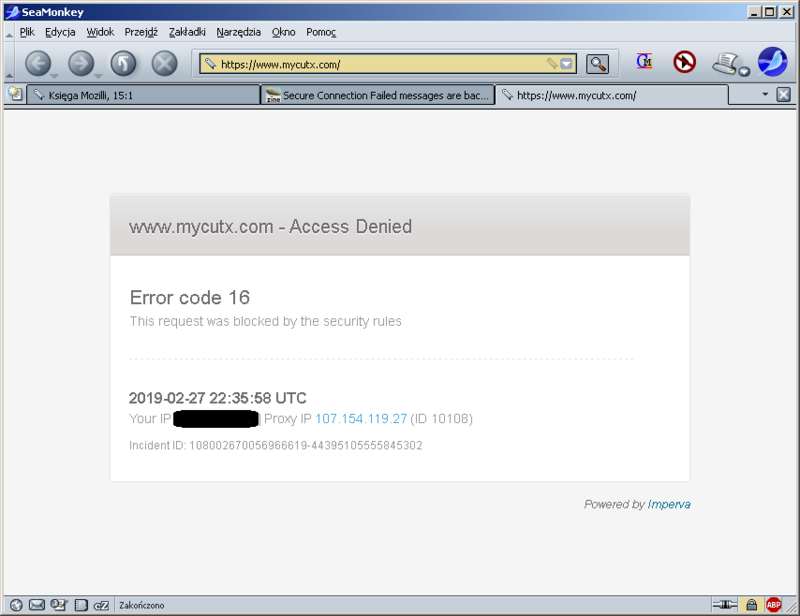 An error occurred during a connection to http://www.mycutx.com. You have asked SeaMonkey to connect securely to abcnews.go.com, but we can't confirm that your connection is secure. If you understand what's going on, you can tell SeaMonkey to start trusting this website's identification. Even if you trust the website, this error could mean that someone is tampering with your connection. Do you use any of these antivirus programs? My security software (AV and firewall) are not interfering with this. Maybe it's some "cloud security" on their side? Test in a new, clean Profile. therube wrote: Test in a new, clean Profile. Test it from location outside of USA... or use proxy/VPN/spoof IP address and check if it'll work then. What are the details of when this happened to you before?